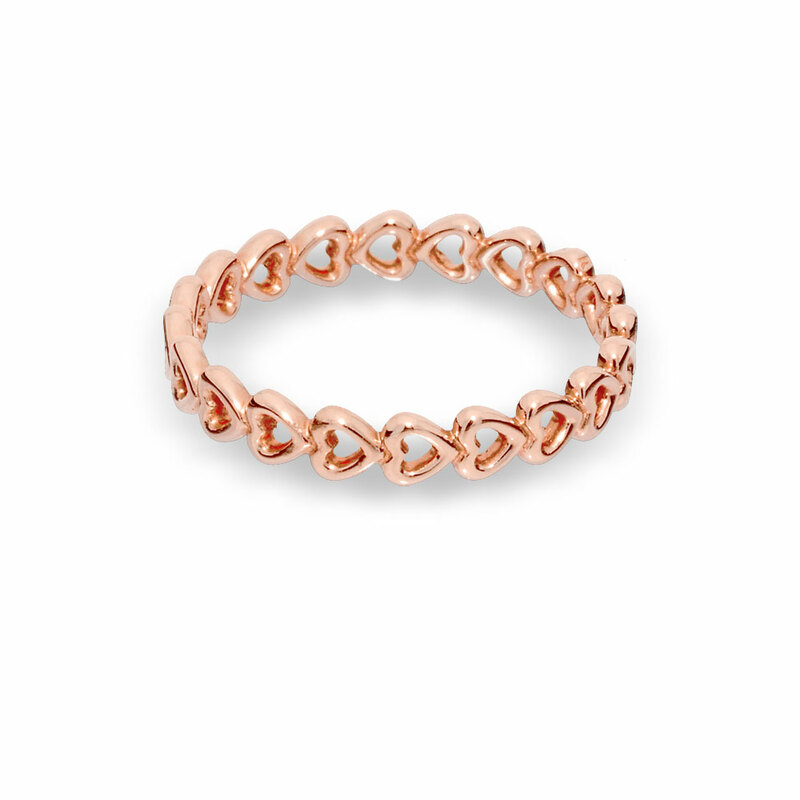 Simple yet elegant, this blush-coloured ring is comprised of a series of connected hearts. With beaded details and meaningful design, it will add a chic expression to any ring stack. A unique blend of metals gives this ring its romantic blush hue suitable for any skin tone. Available online or in-store. PANDORA Rose Linked Love Ring is rated 4.2 out of 5 by 32. Rated 5 out of 5 by Mtlw from Beautiful Bought this as a birthday present for my sister and I almost kept it for myself! It’s a very cute size and style will definitely be getting myself one! Rated 2 out of 5 by Carter95 from Color turning My boyfriend got me this ring in March and 9 months later the rose gold color is coming off. Looking at the other reviews, I’m not the only one. Very disappointed that it hasn’t even been a year and the color is different. I loved this ring so much too. Rated 5 out of 5 by Kwilderm from Perfect sizing and quality! I bought this ring and have absolutely loved it! The fit and style is perfect. It is perfect for an everyday staple piece. I love it! Rated 4 out of 5 by Jujuxm from Petite In pictures, it looks "okay", but in person, it's so cute! It's petite and dainty. Looks great on the middle finger or even thumb. Doesn't mix well with yellow gold. Looks great with other rose gold jewelry. Rated 5 out of 5 by kclr from Love this ring! Got this ring for valentines day and it looks just as nice as the day I got it and I wear it every single day! I think it looks even better then the picture.